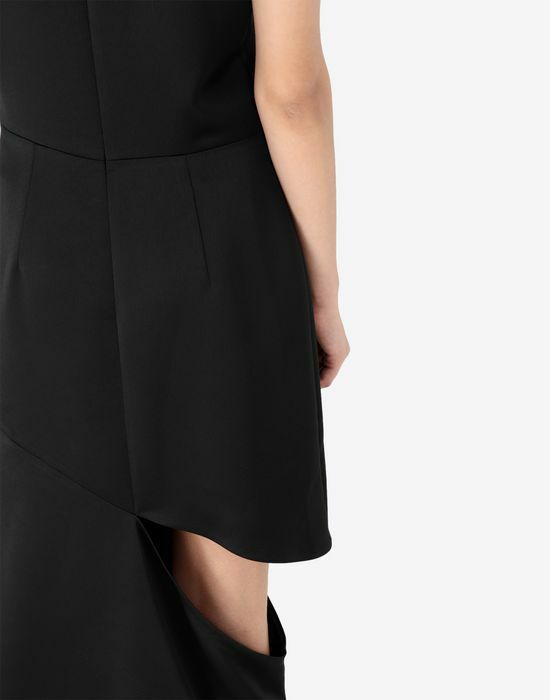 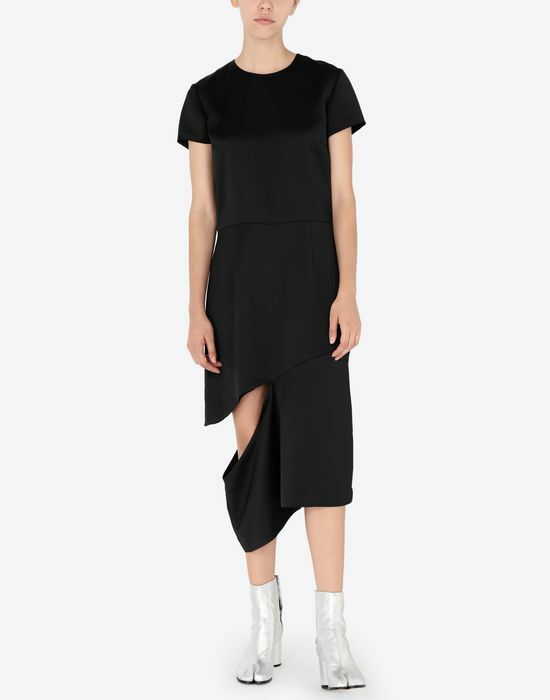 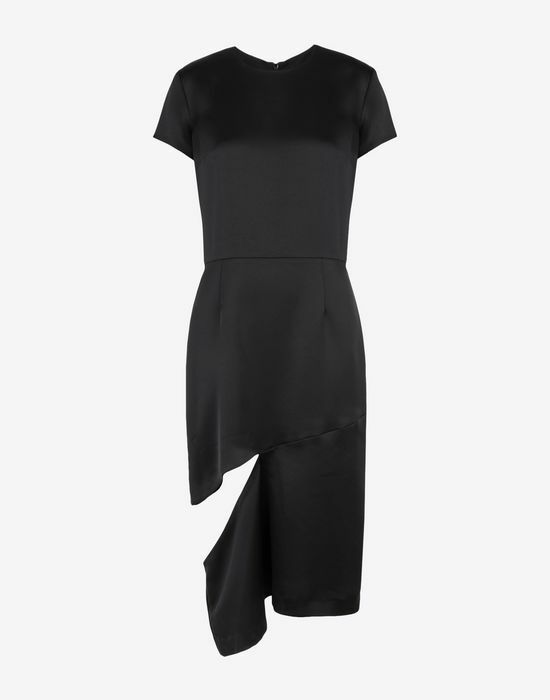 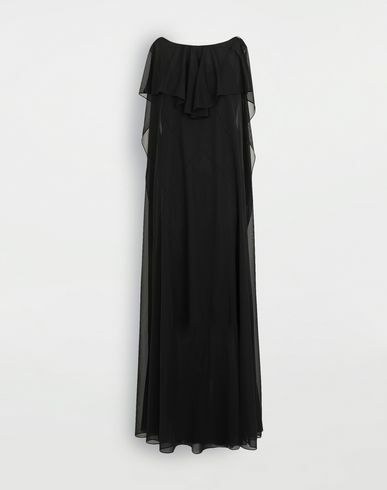 This crew-neck dress in a black shine finish is designed to fall below the knee for an elegant effect. 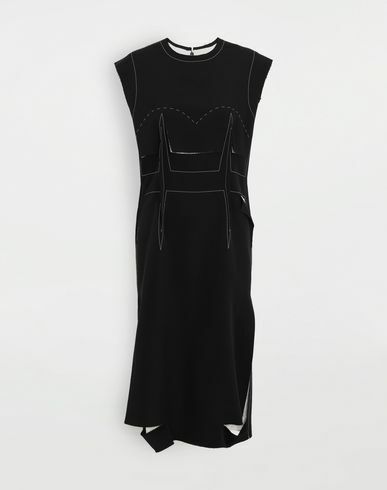 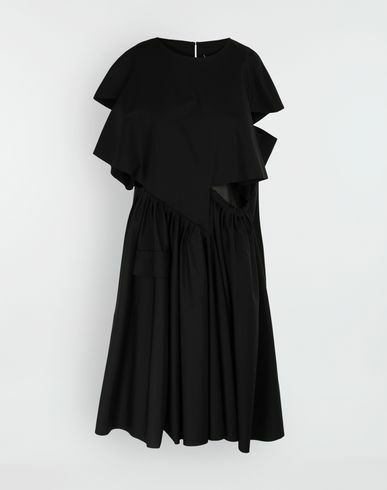 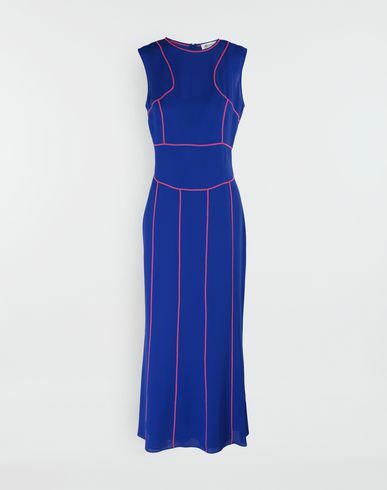 Featuring short sleeves and a hidden zip at the back for ease of wear, the piece is fitted at the waist. 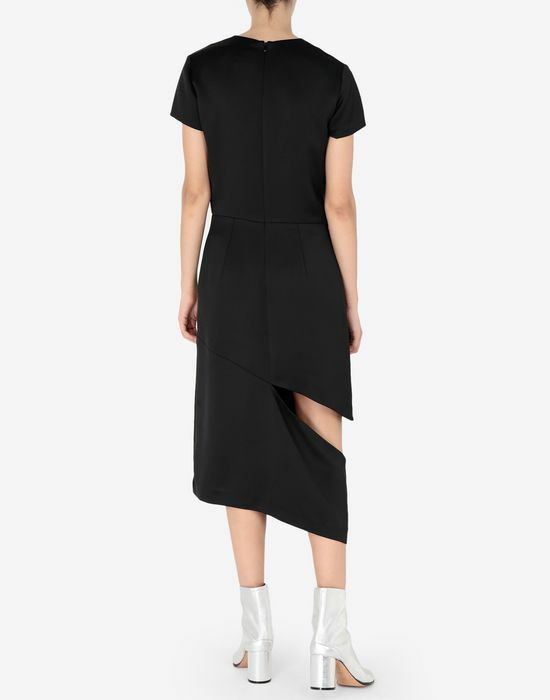 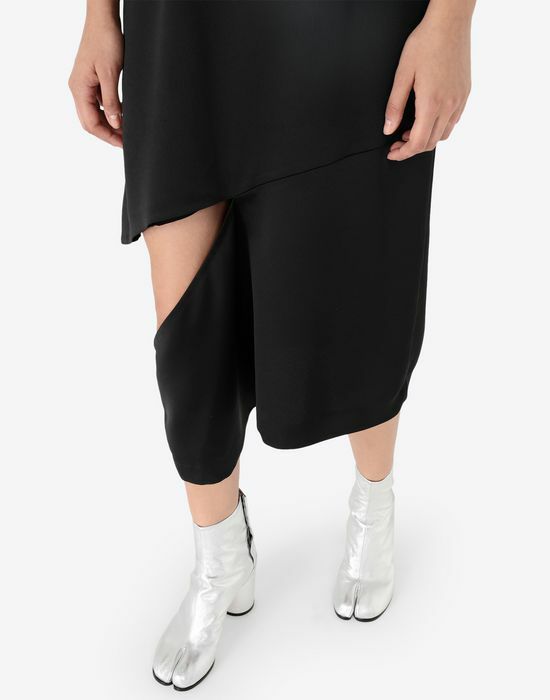 A slash detail at the right thigh lends an unexpected edge, giving the otherwise simple garment a recognisably Maison Margiela touch.